18x24" hand pulled 3-color screen print. 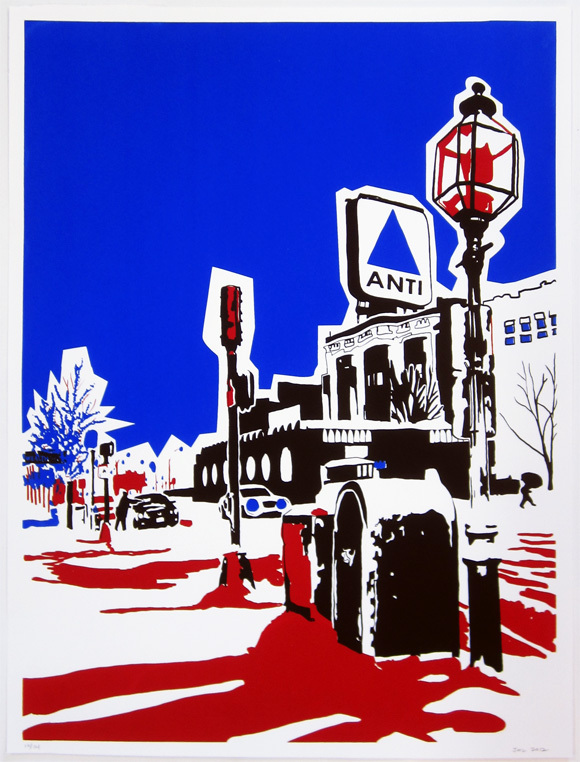 This print is based on a photo that was taken while walking through the Kenmore Square neighborhood during one of the harshest snow storms the area had seen in a while, back in 2005. Red, blue, and black in on heavyweight paper. Colorway limited to an edition of 15.